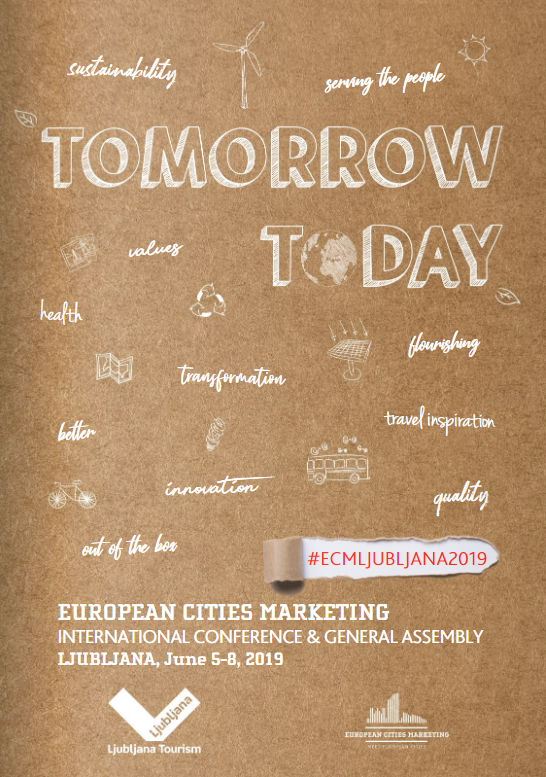 The European Cities Marketing (ECM) International Conference in Malmö marked a new beginning for many European DMOs starting a new strategic conversation about the social and environmental impact of tourism on the quality of life in the city. Together with the 170 delegates from European cities they discussed how to make tourism matter again, and how tourism can give back to the city. Global travel and tourism has more than 10-doubled over the last 50 years from 100 million international arrivals in 1968 to more than a billion in 2018, and it is projected to almost double again over the next 15 to 20 years. 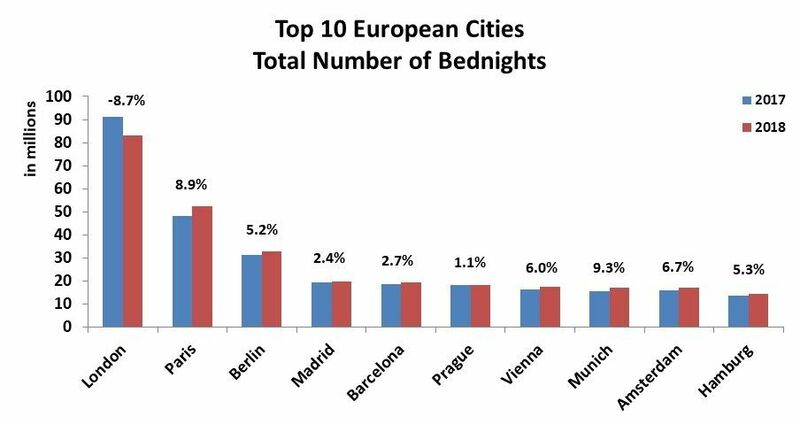 While “overtourism” can feel very real in some European hotspots at certain times, it might also be “overtalked” for the vast majority of European destinations. Still, according to the conference live voting system, 98% of all the travel professionals present agreed that it is time to re-think tourism in the city. Overall, the conferences polling and debates demonstrated a high degree of consensus that “tourism for better place” will be the new black, and that urban tourism can help the cities create job opportunities, education for all, increase cultural participation, strengthen social inclusion and opportunity for sharing the city spaces and experiences. The meetings facilitator Peter Rømer Hansen noted, that it is high time to move the concept of sustainable reports from glossy intentions and reports to real business cases, with real positive impact. Keynote speaker Doug Lansky, asked an important question to launch the conference: “Why more?”, Why do destinations always want more tourism? Do we really want the visitor economy to be 100% of our GDP? Lansky said NO, instead we need to ask how our communities can benefit from tourism, and how DMOs can create real value for both visitors and the city. The conference highlighted outstanding social economic starts-ups which can serve as inspiration for industry across Europe. Plastic fishing the canals of Amsterdam with Plastic Whale has become a top tourist experience in the city that founded a strong and creative circular business model that includes production of high end office furniture made from recovered plastic. The Magdas HOTEL in Vienna which is ran like a social business with 2/3 of employees having a refugee background. Their motto is simple: “Staying open-minded”. Refugees are provided work, neighbours see the positive impact and help refugees integrate into their country, and the customers not only get a great hotel stay, but they also are contributing to change. Non-profit GenderAvenger founded by Gina Glantz challenges the meetings industry for gender equality by developing tools that can encourage and influence gender balance at your conference! No more all-men speakers’ line-up. It is noted that the panel of speakers at the ECM International Conference was composed of 10 men and 12 women! Curbed’s mission is to help making a city better by showcasing the little things, the in-betweens that make people feel the good vibes of it! Love where you live, and improve it, all the time! “Creating and being part of a community makes people feel like home!” said Gabriela Sonnleitner, Magdas HOTEL’s ambassador. The conference concluded on an inspiring presentation by Anna Pollock from Conscious Travel, she said that it’s time for a radical change. Purpose over profit, conscious choices over careless consuming. From “More” to “Better”, from “Quantity” to “Quality”, from “Growth” to “Health” and from “Numbers” to “Flourishing”. Participants also got the latest from ECM Member cities such as Antwerp, and Stockholm but also from companies like, Burson-Marsteller Sport, and For the Love of Place, and from ECM Partners like Destinations International, Eurail Group, GainingEdge, MCI Group, TCI Research, The Iceberg Project and Toposophy. 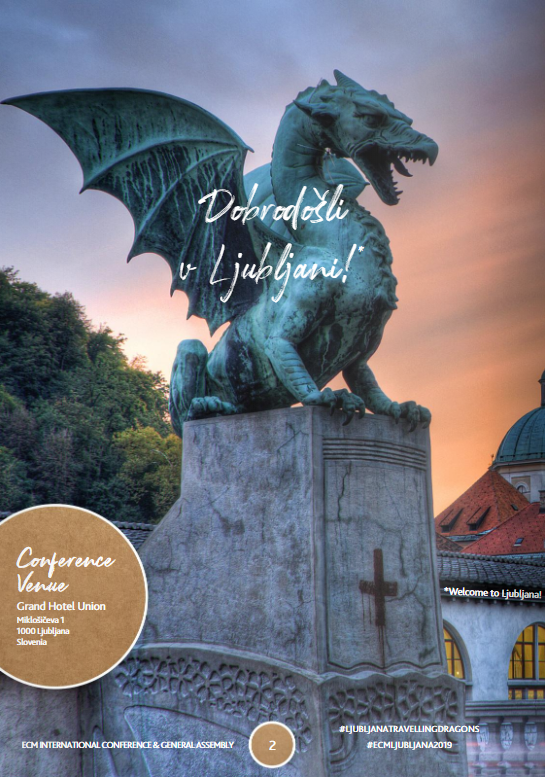 The conference was co-moderated by Petra Stušek, ECM Vice-President Leisure & Tourism and CEO of Visit Ljubljana and Peter Rømer Hansen, Founder and CEO of Rømer Agency and ECM Meetings facilitator.